The RCC holds monthly meetings highlighted by informative speakers, a raffle and auction. Our meetings start at 6:30pm and are held on the first Tuesday of each month, unless otherwise stated in advance. The meetings are held in the banquet room of the Pickel Barrel Restaurant, 12912 Plaza Drive, Richmond, VA 23233. To apply for membership, print, and return your completed application with $5 in annual dues to: Richmond Coin Club, PO Box 791, Glen Allen, VA 23060. Please make checks payable to: Richmond Coin Club. 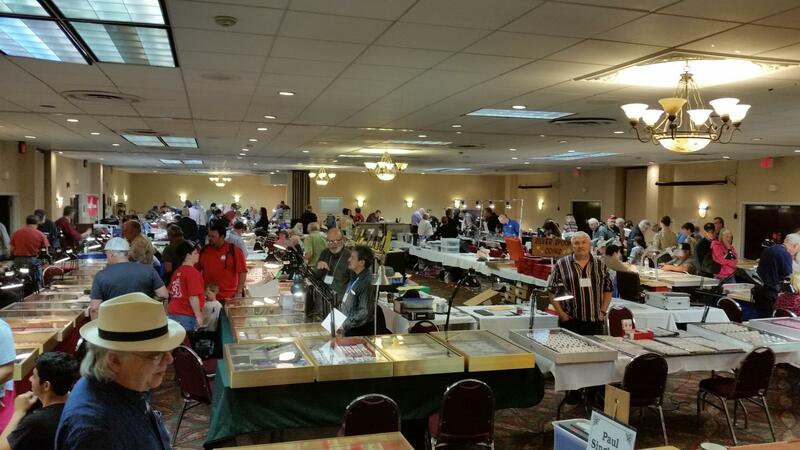 The Auction: The monthly Auction is presented by the Richmond Coin Club. The Auction Venues: Unless otherwise stated the Auction will be colocated with Richmond Coin Club. The Bidders & Seller: Any person registered a member of the Richmond Coin Club can participate in the Auction as a Bidder or Seller. Payment: All sales are strictly for cash in United States dollars. Payment is due upon closing of the Auction session, or upon presentment of an invoice. Auctioneer reserves the right to void an invoice if payment in full is not received within 7 days after the close of the Auction. This is the RCC Auction Seller form. Please completely fill out both the upper and lower halves. Fold width-wise before submitting.